DailyRoto’s MLB Solo Shot Host, Logan Hitchcock, gets you headed in the right direction with his 5/12 MLB DFS Picks. Check out where his mind is at today when it comes to roster construction at FantasyDraft. 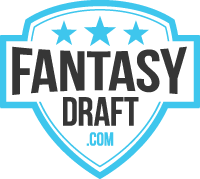 where they put players first – Daily fantasy baseball on a level playing field. Check them out tonight. Now, on to the the picks for tonight’s action. Normally without a game at Coors Field it’s a bit more difficult to narrow down our focus to one particular game. Yet, on a short slate that features Mike Pelfrey, it’s just as easy. Pelfrey and the Tigers will travel to Camden Yards and Baltimore and should strap in for another night of disappointment following Max Scherzer‘s 20 strikeout game. In an attempt to be polite, I’ll note that Pelfrey is simply the worst pitcher on this slate by a wide margin. He doesn’t strikeout anyone (4.45 K/9), walks just as many (4.45 BB/9) and routinely gets smashed (38.9% hard hit rate). The Orioles lineup, especially at the top, is not one that a bad pitcher would like to face. Chris Davis ($10,200) displays elite skills against right-handed pitchers, possessing a career .271 ISO and .373 wOBA against righties. Manny Machado ($10,500) is the most expensive player on the slate, but his hit tool is in play against everyone. Machado is hitting the ball on the ground less than ever before and is generating plenty of flyballs, lots of which are going for homers. I don’t care how much he is, in this matchup I want him. Furthermore, the Orioles will have plenty of value with Mark Trumbo ($8,800), Adam Jones ($8,400), Joey Rickard ($7,200) and Matt Wieters ($6,800). If you’re trying to find options outside of the Orioles, you can look to the opposing dugout at Camden Yards, the New York Yankees or the St. Louis Cardinals. The Tigers will have the benefit of a positive park shift heading to Camden and get a matchup with the wild Ubaldo Jimenez. Ubaldo has over a 14% difference in hard and soft hit rates and has been putting more than four runners on per nine innings via the walk. The Tigers from top to bottom are a bit more valuable against left-handed pitchers, but Victor Martinez ($8,700) and JD Martinez ($8,700) stand out as notable values. The Yankees draw a matchup with flyball pitcher Ian Kennedy at home in the Bronx. Kennedy has had the benefit of pitching in front of a great defense in Kaufman Stadium so far this year, but the ball won’t stay in the yard as frequently at Yankee Stadium. He doesn’t possess wide splits to narrow our focus to a particular handedness, but the value attached to the Yankees bats is too much to pass up. Brian McCann ($6,800) is way underpriced considering his skills against right-handed pitchers and Brett Gardner ($7,500) and Carlos Beltran ($6,800) don’t fall too far behind. You’ll have to wait all night to see the Cardinals play, but their matchup with Jered Weaver should not be ignored. Weaver has shown extreme flyball rates in his career and his strikeout rate is below five hitters per nine innings. While in his career his splits aren’t so wide, in the past three seasons Weaver has been hurt a tad more against left-handed hitters, which bodes well for the Cardinals’ Matt Carpenter ($8,700) and Brandon Moss ($6,900). Both are great cash game options and strong values on a night where paying for pitching is a must. JUST PAY FOR THE DUDE. Clayton Kershaw is the top option on the slate any time he takes the mound and tonight, nothing changes against the New York Mets. The Mets are striking out the fifth most in the league against left-handed pitchers so far this season at 24.6%. Couple that with Kershaw’s strikeout rate of over ten hitters per nine innings and you’ll get a great strikeout floor and ceiling tonight. Kershaw is a huge favorite (-228) at home tonight and the Mets implied run total is bottoming out at around 2.3 runs. Vincent Velasquez gets the nice bump that comes with facing a terribly weak Atlanta Braves lineup. While the Braves have the ability to get really left-handed against Velasquez much like they did last night, his increased strikeout rate gives us a bit more of a cushion to deal with than Eickhoff last night. Still though, the Braves as a team have the lowest ISO, wRC+ and wOBA against right-handed pitchers. There are some minor weather concerns here, but assuming weather holds Velasquez is certainly in play. David Price is not the safest option on this slate, but the strikeout projections tonight against the Astros place him above both Jimmy Nelson and Johnny Cueto. Price’s strikeout rates have jumped a bunch so far this season and while some regression is expected, he should also expect a positive regression in terms of run prevention. Despite a 6.75 ERA so far this season, Price has pitched to a 2.97 xFIP while taking some hard luck with an opposing .373 BABIP. The Astros are a fully capable lineup, but there are a lot of swings and misses here. Jimmy Nelson gets the drool worthy matchup of the San Diego Padres. Certainly, he is the least skilled pitcher on this list, but given the matchup and a solid enough strikeout projection, he finds himself as a cash worthy option. Furthermore, if you were to pair Nelson’s salary with Kershaw you still allow yourself to grab one or more bats you would not be able to use with another stud pitcher. Using him is a result of the matchup and the salary. Cueto is perhaps less risky than Nelson, but the park shift to Chase Field is not something I’m thrilled about paying for. Cueto’s strikeout rates have rebounded a bit so far this season as he’s increased his SwStr%, but the concerning issue for me is that he’s not getting many swings outside the strike zone – down 4% from last season. The Diamondbacks from top to bottom are not the most threatening lineup, but paying this much for Cueto is a last resort type move.